The Nokia Communicator is Back! 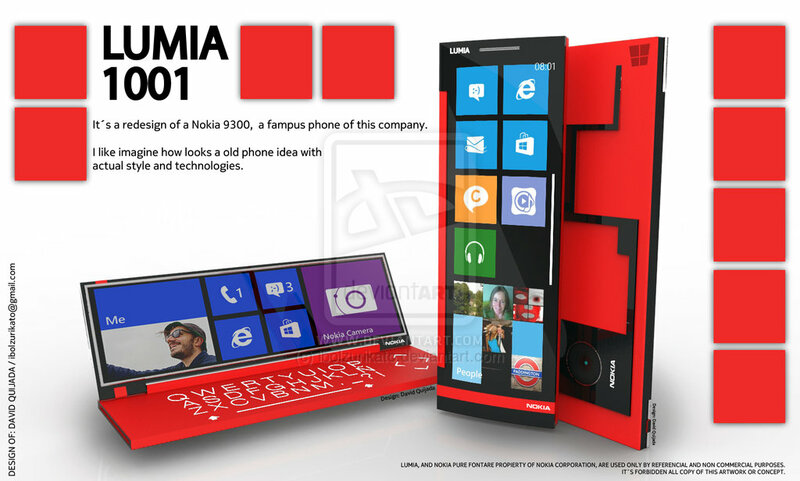 Lumia 1001 Render Awakens its Spirit! David Quijada takes a lot of risks with the Nokia Lumia 1001 concept, especially since he leaves a lot of room empty in the keyboard part of the device. The result is a brand new Communicator, a device that’s a redesign of the Nokia 9300. From what I can see, we’re getting a dual display device and the back side of the keyboard looks particularly cool, especially the camera integration and surrounding area, probably with speakers included there as well. The QWERTY keyboard is well lit, but oddly spaced and we’ve also got a D pad probably for games and such. The long rectangle format of the screen may be weird in landscape mode, but seems to work in portrait. If this device would be just a tiny bit wider, it would be solid gold. Is there any room on the market of 2014 for a Windows Phone-based Nokia Communicator of sorts?